Thanksgiving is nearly here—but do you have the proper senior home care in place for your beloved elder this holiday season? Fortunately for family caregivers in Laguna Beach, A-1 Home Care has seasoned professional caregivers providing elder care just in time for the holiday season—because we understand the importance of having holiday cheer in everyone’s life this time of year. Each caregiver on staff provides years of background experience in the caregiving field, along with helping hands and a golden heart to serve others whenever they call on our name. These 24 hour care options also include respite care services for family caregivers that have their own holiday festivities they want to enjoy without having to worry about their loved one’s health. It’s this dedication to providing a variety of caregiving options at affordable prices that has allowed A-1 Home Care to remain at the pinnacle of home care provision since its inception more than 20 years ago. If you would like to discover more about A-1 Home Care and its affordable care services, then contact a compassionate caregiver at (949) 650-3800 or (562) 929-8400 today. A-1 Home Care is proud to serve neighboring communities in Newport Beach, Huntington Beach, Corona Del Mar, Irvine, and Costa Mesa. Categories: Newport Beach CA, senior care, Uncategorized | Tags: 24 hour care, caregiver, caregiving, home care, Los Angeles, orange county, respite care, senior care | Permalink. If you’re a senior who has bad kidneys, don’t you think it’s time you found affordable care from the comfort of the home? If that sounds like you, then there’s good news: because the leading kidney disease care solutions in all of Orange County and Los Angeles are right here in Laguna Beach! A-1 Home Care is the caregiving agency trusted most because it provides affordable and diverse senior care services right from the comfort of the home. Our specialized kidney caregivers come with a pair of helping hands and a golden heart that’s ready and waiting to serve you. A-1 Home Care has been proudly serving elders from all walks of life, including Asian, Middle Eastern, Jewish, and European, since the caregiver agency’s inception more than 20 years ago. 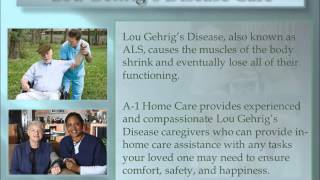 A-1 Home Care additionally provides in-home care services such as Lou Gehrig’s disease care, postpartum care, respite care, and much more! You can find out more about the exceptional caregiver solutions available at A-1 Home Care by contacting a friendly caregiver today at (949) 650-3800 or (562) 929-8400. A-1 Home Care is proud to serve neighboring communities in cities like Newport Beach, Corona Del Mar, Fountain Valley, Costa Mesa, and Huntington Beach. 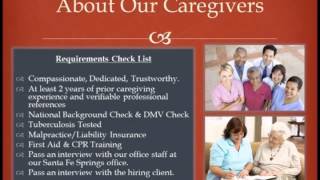 Categories: Caregiver, caregiving, homecare, kidney disease care, live-in care, Los Angeles, lou gehrig's disease care, Orange County, postpartum care, Respite Caregiver, senior care, short-term care | Tags: caregiver, caregiving, homecare, kidney disease care, live-in care, Los Angeles, lou gehrig's disease care, orange county, postpartum care, respite care, seniorcare, short-term care | Permalink. 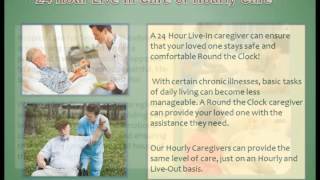 Do you have a loved one in the home who would benefit from having round-the-clock live-in care going forward? If the answer is yes, then A-1 Home Care is at your service. We specialize in a variety of affordable caregiving services that reach elders from all walks of life, including Asian, Middle Eastern, Jewish, and European. Our long-lasting and effective live-in caregiver options are only achieved through the helpful hands and the golden hearts of the expert elder care professionals on staff. 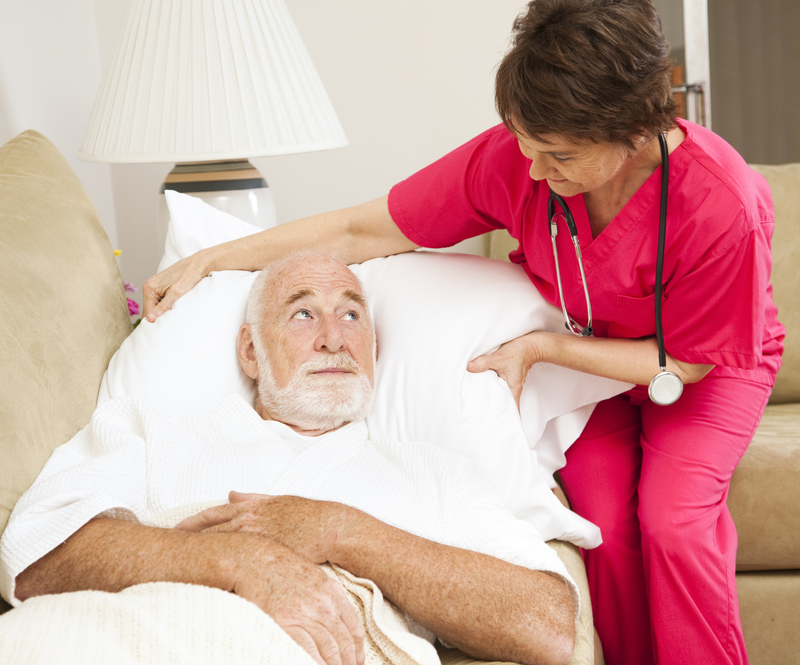 A-1 Home Care additionally offers kidney disease care, Multiple Sclerosis care, respite care, and much more. This dedication to providing the most comprehensive care services available anywhere in Los Angeles and Orange County has kept seniors happy and, most importantly: healthy in the home. If you’d like to find out more about the live-in care options that are at your disposal when you choose A-1 Home Care, then call a senior care specialist today by dialing (949) 650-3800 or (562) 929-8400. A-1 Home Care is proud to serve neighboring communities including cities like Fountain Valley, Newport Beach, Corona Del Mar, Irvine, and Costa Mesa. Categories: Caregiver, caregiving, elder care, homecare, kidney disease care, laguna beach, live-in care, Los Angeles, multiple sclerosis care, Orange County, Respite Caregiver, senior care, Southern California | Tags: caregiver, caregiving, elder care, homecare, kidney disease care, laguna beach, live-in care, Los Angeles, multiple sclerosis care, orange county, respite care, seniorcare, Southern California | Permalink. Many seniors today find it difficult to continue living in their homes without outside caregiving efforts being provided by their loved ones. Unfortunately, this level of care is both taxing on the caregiver(s) and inefficient for the senior to fully experience the rewards of professional care in the home. 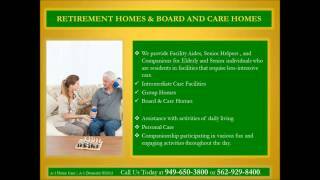 At A-1 Home Care in Laguna Beach, seniors experience live-in care solutions right in the comfort of their own homes. The expert caregivers on staff come at the most affordable prices in Southern California despite having offered the highest-quality elder care options found anywhere since the non-medical home care agency’s inception in 1991. A-1 Home Care additionally provides caregiving options that include 24 hour round-the-clock Alzheimer’s and dementia care, Parkinson’s care, and even brain injury care. It’s this wide spectrum of diverse care possibilities that has allowed A-1 Home Care to stand alone as the home care agency of choice in Orange County and Los Angeles for more than two decades and counting. If you’d like to find out more about the leading live-in care solutions offered in Laguna Beach and surrounding areas, then contact one of the compassionate caregiving professionals at A-1 Home Care by dialing (949) 650-3800 or (562) 929-8400 today. A-1 Home Care serves communities throughout Orange County, including cities like Newport Beach, Irvine, Costa Mesa, Huntington Beach, and Long Beach. 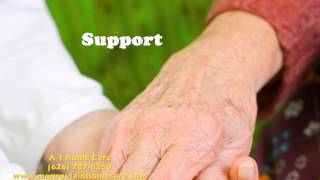 Categories: 24 Hour Care, Alzheimer Care, brain injury care, Caregiver, caregiving, elder care, homecare, laguna beach, live-in care, Los Angeles, Orange County, Parkinson's care, personal services, senior care, Southern California | Tags: Alzheimer disease, brain injury care, caregiving, dementia, elder care, home care, home caregivers, laguna beach, live-in care, Los Angeles, orange county, parkinson, personal care, seniorcare, Southern California | Permalink. Did you know that the leading senior care solutions are provided right here in Newport Beach? 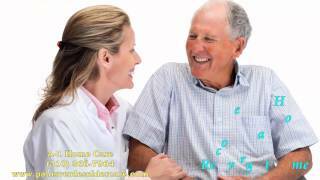 If you’re a senior in Orange County or Los Angeles, you should note that A-1 Home Care provides exceptional in-home care solutions at the most reasonable prices found anywhere. That’s because A-1 Home Care believes that a life worth living isn’t possible without the proper care techniques being incorporated into every senior’s lifestyle around the home. That even includes providing care givers to live inside elders’ homes with them should they need it. Because our diverse elder care options are both affordable and top-quality, A-1 Home Care has been recognized in the community as the leader in providing seniors with everything they need to live and live well. If you’d like more information about all the senior care options we provide at A-1 Home Care, then call one of our home care professionals by dialing (949) 650-3800 or (562) 929-8400 today. We provide services to cities across Southern California, including Burbank, Beverly Hills, Laguna Beach, and Fountain Valley. 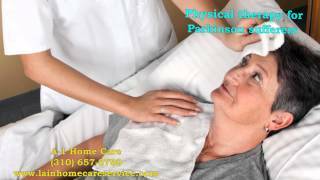 Categories: at-home care, caregiving, elder care, home care, live-in care, Newport Beach CA, senior care, senior services | Tags: care provider, caregiver, elder care, home care, live-in care, personal care, senior care | Permalink. 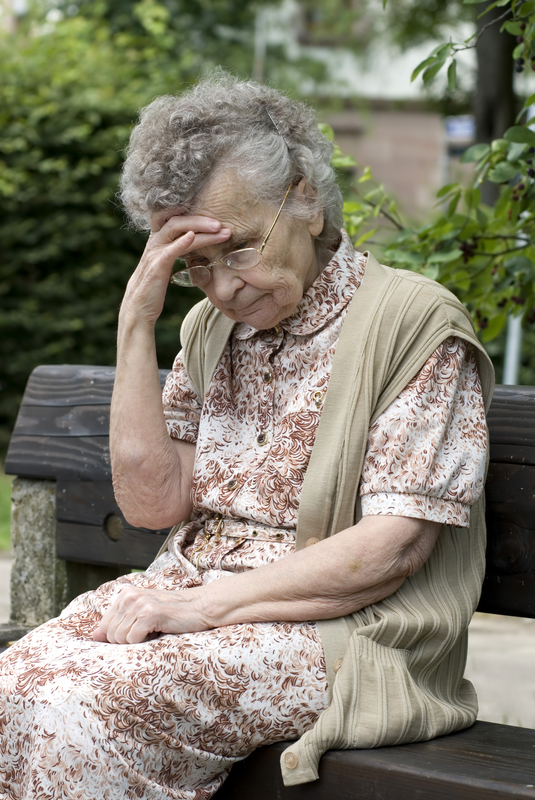 Are you one of the many seniors today who suffers from multiple sclerosis (MS)? If you are, then you aren’t alone, with as many as three million Americans suffering from the disease every year. Characterized by the immune system destroying the protective covering around nerves, multiple sclerosis can be crippling and difficult for not just the patient, but his/her loved ones as well. At Newport Beach A-1 Home Care, we offer exceptional care providers to come out to the comfort of your own home and provide the leading non-medical senior care solutions in all of Southern California. A-1 Home Care’s expert care providers aren’t just well-versed in providing firsthand care, but also compassionate and ready to listen to your every concern. Some of the most common MS symptoms include blurry vision, difficulty with balance and motor skills, chronic pain, fatigue, anxiety and general moodiness, and, later, full paralysis and difficulties swallowing and speaking. 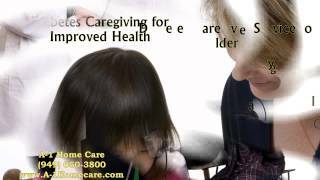 If you’d like to know more about the leading MS care solutions you’ll find anywhere in Orange County and Los Angeles, then contact one of the helpful elder care givers at A-1 Home Care by calling (949) 650-3800 or (562) 929-8400 today. We proudly provide many other senior care options that include respite care and special needs care to surrounding cities like Tanzana, Corona Del Mar, Alta Dena, Hollywood, and Palos Verdes. 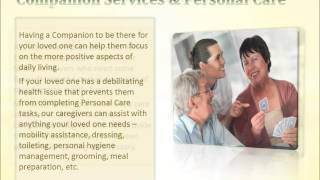 Categories: caregiver services, MS, multiple sclerosis, Newport Beach CA, Respite Caregiver, senior care, senior service, special needs care | Tags: care provider, caregiver, elder care, elderly, elderly care, home care services, living assistance, MS, multiple sclerosis care, newport beach, respite care, senior care | Permalink. Taking care of another person is not a job that just any ol’ Joe can do. It takes a strong sense of commitment, a serious amount of hard work and a lot of patience to care for the life of another. And as rewarding as the duty of caregiver is for many, there is no denying that it is not an easy task. While parents and guardians can most certainly understand what it is to care for children, caregiving for seniors is an entirely different matter, as it requires knowledge of obstacles that often come with old age, including Alzheimer’s, Dementia, pain from Arthritis and much more. That’s why A-1 Home Care makes sure to send out only the most qualified caregivers to our seniors in Newport Beach. All of our caregivers have had 2 years or more of caregiving experience, are certified in CPR and have been tuberculosis tested – all so that our care-recipients can have the peace of mind and security that they will be well cared for. We have caregivers who specialize in 24 Hour Care and Elder Care, but also many who are trained in handling Alzheimer’s & Dementia Care, Arthritis Care, and After Surgery Care. Contact our office for information on our rates and services at (949) 650-3800 or visit us at Newport Beach In Home Care. 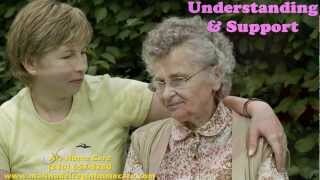 Categories: 24 Hour Care, Alzheimer Care, Arthritis Care, Care Giver, Dementia Care, elder care, elderly care, home care, in home care, in home care for elderly, in home care for seniors, Live In Caregiver, senior care, senior service, short term caregiver | Tags: a-1 home care, arthritis, at home care, caregiver, caregiver agency, corona del mar, dementia, elder, elderly, elderly care, elderly caregiver, help at home, home care services, homecare, huntington beach, in home care agencies, newport beach, newport beach in home care, senior care | Permalink.